Get Updates Right to Your Phone! Be "In the Know" with our Exclusive Wines. We've changed the way the world feels about Wine. And get a message back thanking you for joining our VIP list. We want to stay in touch with you to give you VIP updates on our Exclusive Wines. 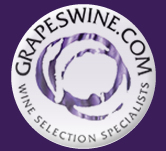 Enjoy your life with the best wines at the best prices on the web. We've changed the way the world feels about wine.